Hifen 200 MG Tablet DT is a broad-spectrum antibiotic used to treat a variety of conditions such as urinary tract infections, throat infections and lung infections caused by bacteria. This medicine is not recommended for use in case of a common cold, flu or other viral infections since it is active against the infections caused by certain bacterial species only. This medicine is not recommended for use in patients less than 6 months of age. 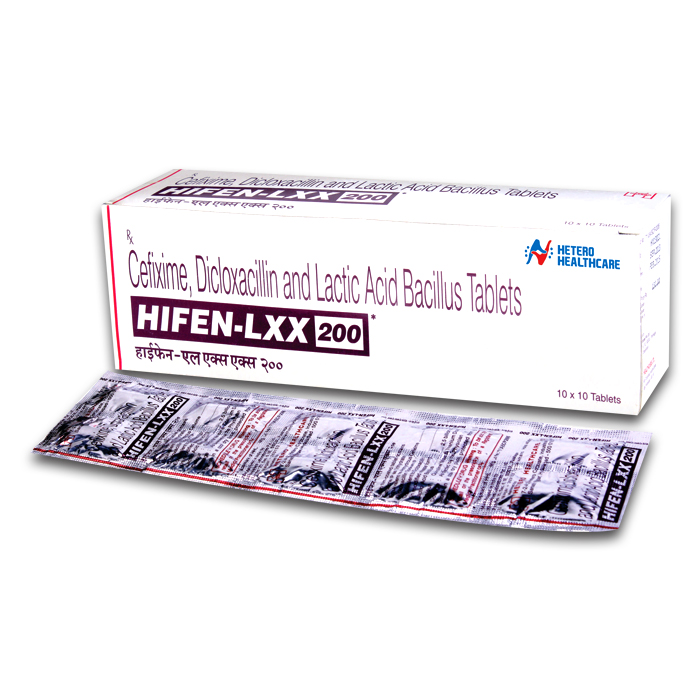 Hifen Lxx Tablet is used in the treatment of bacterial infections.